Let's make this empties post as succinct as I possibly can. 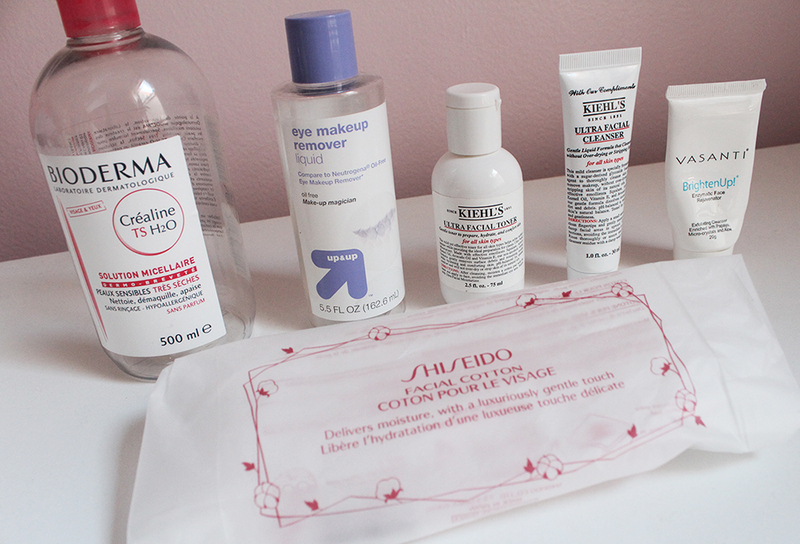 I bid farewell to few great skincare staples including a huge bottle of Bioderma. I bought a two pack from Paris two years ago and only just finished up the second bottle. I really like Bioderma and consider it my favorite cleansing water so I'm bound to repurchase it in the future. The Up & Up Eye Makeup Remover from Target is my choice eye makeup remover because it does the job and is inexpensive. I've gone through probably more than five bottles. The Kiehl's Ultra Facial Toner and Cleanser are great for normal skin and do the job without frills. Vasanti's BrightenUp is a very grainy exfoliant that polishes off dead skin cells without being too harsh. Shiseido Cotton Pads are my ultimate favorite cotton pads because they're oh-so-soft. They're expensive but worth the money to me. The Clinique Face Scrub for Men was a pleasant surprise because it buffs the skin while imparting a refreshing tingly sensation. Notable mentions from this pile are the Alterna Caviar Shampoo and Conditioner which I used during travel and really enjoyed. The conditioner in particular was great at restoring my hair. Despite loving Bioderma's signature cleansing water, their Sebium AKN acne treatment wasn't anything outstanding to me and I had about half the tube left but it's now expired. Into the bin that goes! 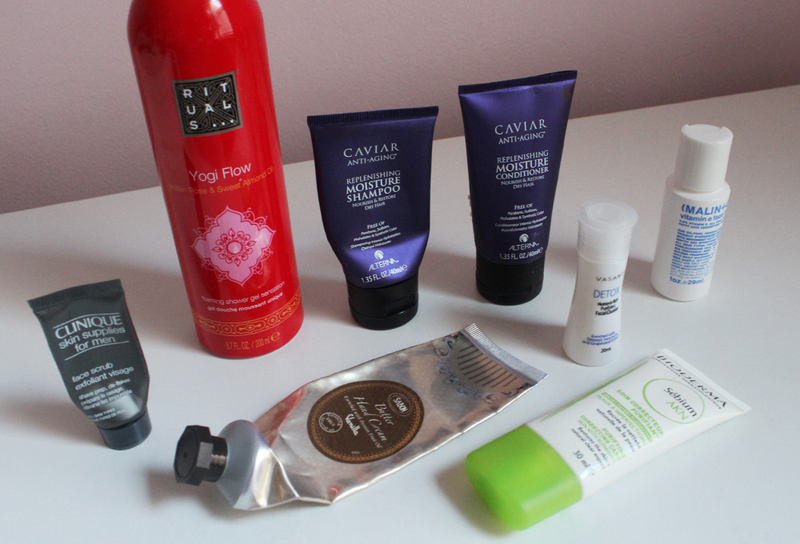 This is a mish mash of stuff in the bottom of my empties bag. I love love love the Sunday Riley Start Over Eye Cream. It's has a lovely moisturizing texture without ever being oily or difficult to absorb. I already plan on repurchasing this after using up several eye creams I've been sent. I've raved about the Shiseido Ultimate Concentrate before so I'll just say these minis are the cutest for travel. I really enjoyed the Benefit PosieBalm due to the rose scent but it's overpriced for what is essentially a clear balm. I lost the cap to the balm during Fourth of July festivities so I didn't bother digging into the bullet for the rest of the product. I had a habit of dropping caps on dirty floors these past two months because I did the same with the almost finished Nivea Mint and Minerals lip balm. I pretty much used up most of it so I didn't feel too bad. 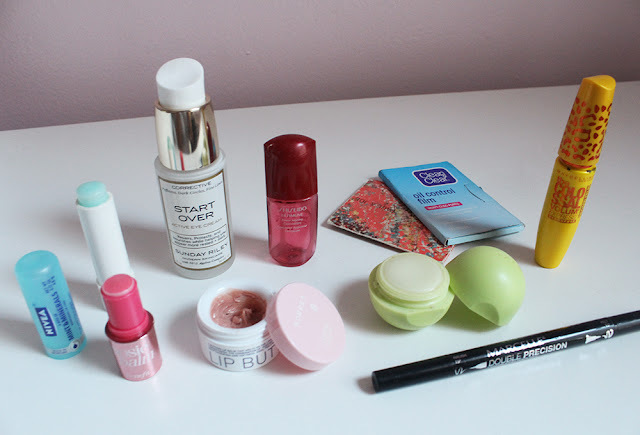 It's nothing special and I've already repurchased my favorite drugstore lipbalm, Softlips. I totally give up with the Korres Lip Butter in Jasmine which was part of my Make a Dent challenge. It doesn't smell rank but I've had this lip butter for so many years that it shouldn't be usable anymore. The Marcelle Double Precision Liquid Liner is pretty good but it dries out so quickly. The EOS Lipbalm and Maybelline Colossal Cat Eyes Waterproof Mascara both get a resounding "meh". This empties turned into more of a word vomit and mini review dump rather than a concise write up. I have about a gajillion deluxe sample skincare products floating around my vanity and several travel makeup bags because I've been on the road (or in the air) for the past week. I expect to have finished up a lot of those by the end of October so I can share my thoughts with you all then!